The Roman Pantheon is truly one of the great wonders of the world. To think that it was constructed in the first century and that it took just eight years to build, without modern materials and equipment, makes it even more remarkable. If you’ve ever stood under that dome and you have a soul, it has soared. 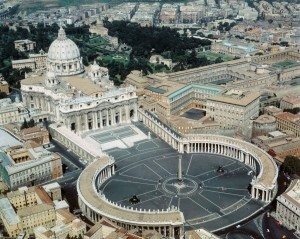 By contrast, St. Peter’s Cathedral in Vatican City—the largest cathedral in the world—took 120 years to build. Which means you could have constructed fifteen Pantheons in the time it took to build one St. Peter’s. 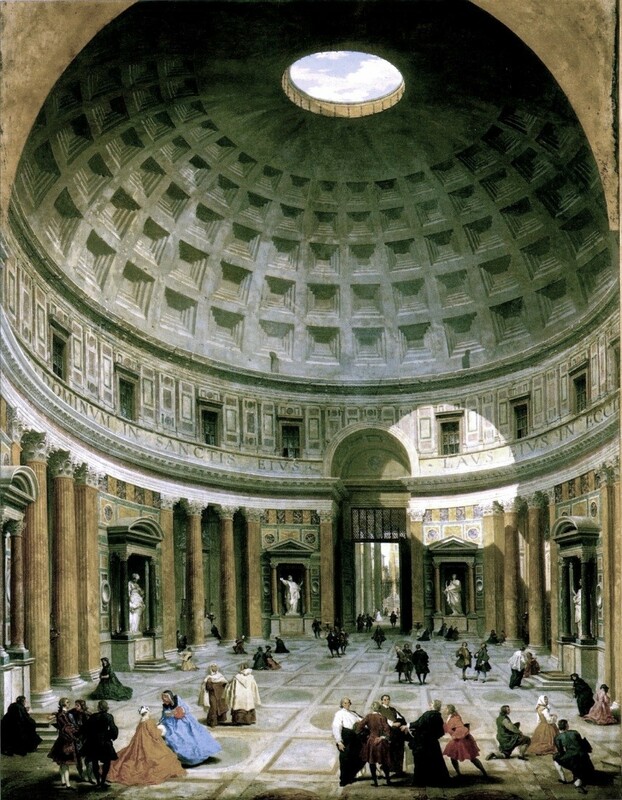 St. Peter’s is also an architectural marvel, but the discrepancy of time in building it is astonishing, especially considering that the Pantheon was built over 1500 years before St. Peter’s. You’d think construction would have advanced a few paces, no? When you have two different opinions (or, in the case of St. Peter’s, dozens of different opinions) buildings don’t get finished. Over a dozen popes presided over St. Peter’s construction, many with entirely different views of what it should look like and why. In your marriage, you need an overall design, a deciding opinion. 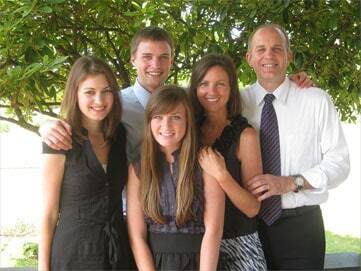 What you emphasize in raising your kids, where you spend your vacations, whether you remodel or move, whether you relocate for his job or hers, what church you attend, whether you spend the holidays with one set of parents/grandparents but not the others… The potentially explosive decisions required in every marriage will exhaust you if you don’t have an overriding purpose. Every word of this verse matters. “Seek” means “keep on seeking.” It never ends. Just because you made one decision with God in mind doesn’t mean the next three decisions can be selfish. “We pursued God about what church to attend, but does He really care about all the other stuff?” Yes, He does. You can call each other to account—are we still seeking his righteousness and kingdom in this decision? “First” means that above your children’s worldly “success” should be their faith. Above your comfort should be your mission. The various aims may not always conflict, but when they do, your call is to do what is best for your children’s faith, their hearts, their relationship with God and your faithfulness and mission before God. The issue isn’t whether James gets to play club soccer or Jane plays club volleyball—the issue is, how are their hearts being groomed toward a life of faith and service? And how are you freed to be faithful to the call God has placed on your life? “His Righteousness” gives you something other than your own desires to appeal to. Have you asked what God wants in this situation? If your husband wants to do something that seems morally questionable to you, the issue isn’t between you and him; it’s between him and God. Ask your spouse to reconcile his/her desires with seeking first Christ’s righteousness. This approach—appealing to Matthew 6:33—can stop a lot of fights cold, or at the very least change the substance of the disagreement. When marriage is about wants and needs, there’s no end to the conflict. It’s like the Mafia—whoever gets there first and is most intimidating usually wins. That’s not a marriage, that’s a nightmare. When you have a higher design and purpose, you have a happier, more peaceful marriage, because you have a way of resolving disagreements apart from selfish ends. If you haven’t lived this way, there’s still hope. 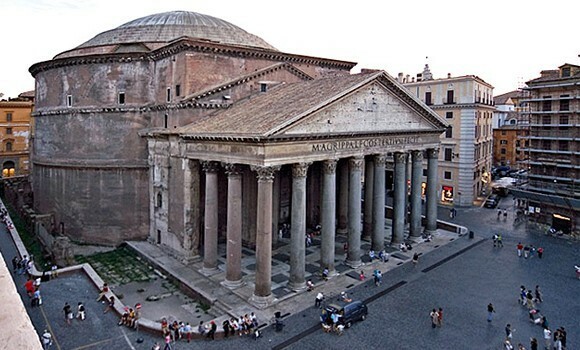 The Pantheon was originally constructed for pagan worship—that’s why it has a hole in the roof (for the smoke from the sacrifices to escape). It has now been converted into a church. You can take a marriage dedicated to the wrong end and convert it into a marriage dedicated to the highest end—if you start rebuilding it based on Matthew 6:33. But you’ll get there faster if you agree on one design. This is the second in a series of posts featuring the teaching of A Lifelong Love: How to Have Lasting Intimacy, Purpose and Friendship in Your Marriage. 3 responses to Does Your Marriage Resemble the Pantheon or St. Peter’s? A very captivating analogy, l admire it a lot . Interesting analogy Gary. Dictators usually are a bit more expedient then a committee process. Great analogy. I asked my wife and believe me we both had different opinions with solid reasons. She wanted the building done. Completed! On the other I like the slower or longer process. Savoring every moment. Brick by brick. Lol.